A novel disability care model to reduce the percentage of age-related disabilities, introduced by two Sri Lankan physiotherapists has been recognized by the international community of experts in disability and rehabilitation. The new model, titled as PPCR disability care model has been innovated by two renowned Sri Lankan physiotherapists, Dr Sujeewa Weerasinghe, and Mr Sanjeewa Thunpaththu. 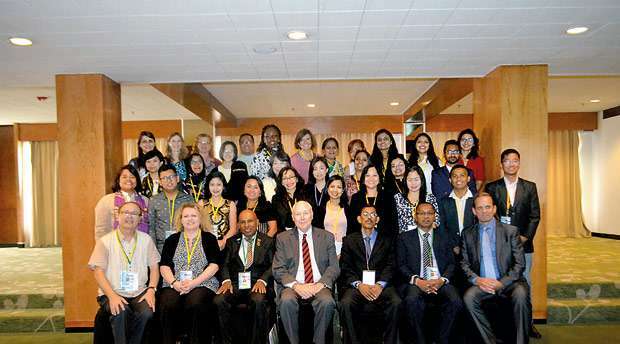 It was introduced to the international experts and professionals in disability and rehabilitation at the 3rd World Disability and Rehabilitation Conference (WDRC) held in Kuala Lumpur, Malaysia recently. The WDRC is a platform for to researchers, practitioners, policy makers, industry experts, members of professional bodies, advocates and volunteers involved in disability to share their research and expertise and this year the conference was held with the theme of Global Advocacy and Rights of People with Disabilities. Delegates and participants from a large number of countries representing developed and developing world were presented to the conference. While Dr Loren O’Connor, Assistant Vice-Chancellor of the Office of Accessible Education and Counseling Services, Brandman University, USA was the Conference chair and Dr Michel Landry Chief, Duke Doctor of Physical Therapy Division, Duke University Medical Centre USA made the keynote address of the conference. Dr Weerasinghe and Mr Thunpaththu were able to bring honour to the country by being the plenary speakers of the conference. 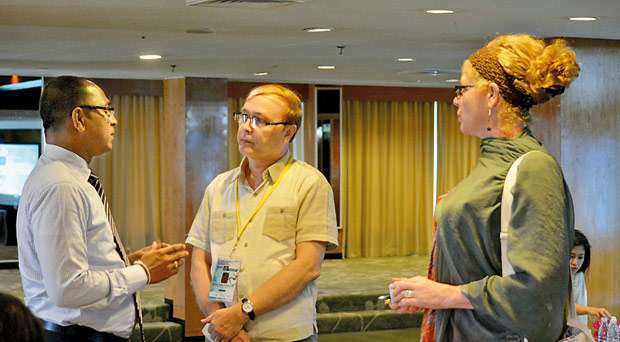 Due to the importance and value of the PPCR model, most of the participants, including those from the USA, have made requests to introduce the new concept to them. Also, they have agreed to conduct further studies on the new concept in multinational and multinational level. 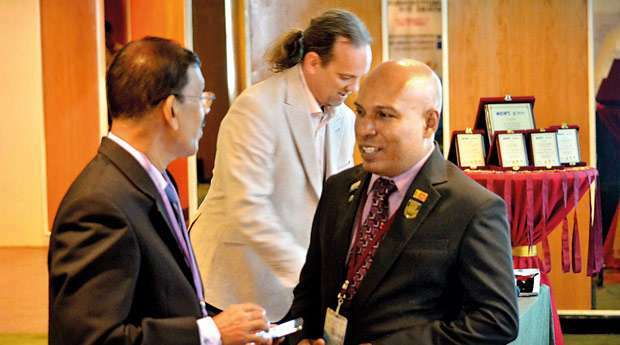 Mr W. Jayathissa Perera, the consultant physiotherapist of Sarvodaya, represented the Chartered Society of Physiotherapy, Sri Lanka at the conference. “The PPCR model is a result of our efforts to find a solution to the problem of disabilities arises with the ageing process. I hope we have created a system to address the problem, disability in ageing,” Dr Sujeewa Weerasinghe said. Dr Weerasinghe is the Executive Director and a Consultant Physiotherapist of Physio Life Care-Sri Lanka. Dr Sujeewa is a Former Visiting Lecturer at the University of Colombo and a Clinical Supervisor University of Peradeniya. He is a former Chief Physiotherapist of Army Hospital, Panagoda, Sri Lanka and Sri Lanka Army Cricket pool. He is also a Life Member of the Sri Lanka Society of Physiotherapy and has served as a member of the executive committee. He has contributed as plenary speaker, session chair and evaluation panel member in international conferences including World Disability and Rehabilitation Conference. He is a popular physical medicine educator in electronic media and a Journalist and has been awarded for his work to popularize physiotherapy in Sri Lanka. He has done presentations in world confederation for physiotherapy congress and his innovations have been recognized in international level. Mr Sanjeewa Thunpaththu is a senior physiotherapist of the National Hospital of Sri Lanka. “As a Sri Lankan physiotherapist, I am so excited for being able to introduce this useful concept…I can assure this concept will have a great impact on age-related disabilities, significant global health and social issue,” Thunpaththu said. Thunpaththu has been a visiting lecturer at the University of Peradeniya, University of Colombo and School of Physiotherapy and Occupational Therapy, Sri Lanka. He has been a consultant on exercises and physical activities to the Japan International Cooperation Agency. Thunpaththu has been the secretary of the Sri Lanka Society of Physiotherapy. He has contributed as a keynote speaker, panellist, symposium speaker and session chair in international conferences including World Congress in Physical Therapy and World Disability and Rehabilitation Conference. He is the author of the several books and educational DVDs his work on assistive technology has been recognized by the World Health Organization. He has won several awards for his contribution to the profession. Disability is part of the human condition. Almost everyone will be temporarily or permanently impaired at some point in life, and those who survive to old age will experience increasing difficulties in functioning. Disability is complex, and the interventions to overcome the disadvantages associated with disability are multiple and systemic and varying with the context. The PPCR model introduces a novel approach to address the problem of disability related to the ageing process. The World Health Organization (WHO) in the 1970s estimated and suggested around 10% of the world population have some form of disability. In 2010, more than a billion people or about 15% of the world’s population are estimated to live with some form of disability. The number of people with disabilities is growing. One of the major reasons for this rising is ageing populations. The other major reasons included the global increase in chronic health conditions associated with disability, such as diabetes, cardiovascular diseases, and mental illness. People worldwide are living longer. By 2050, the world’s population aged 60 years and older is expected to total 2 billion, up from 900 million in 2015. A longer life brings with it opportunities, not only for older people and their families but also for societies as a whole. Yet, the extent of these opportunities and contributions depends heavily on one factor: health. Ageing is associated with the gradual accumulation of a wide variety of molecular and cellular damage over time. This damage leads to a gradual decrease in physical and mental capacity, an increased risk of many diseases, and a general decline in the capacity of the individual. Common conditions in older age include hearing loss, cataracts, and refractive errors, back, and neck pain and osteoarthritis, chronic obstructive pulmonary disease, diabetes, depression, and dementia. Furthermore, as people age, they are more likely to experience several conditions at the same time. Older age is also characterized by the emergence of several complex health states that tend to occur only later in life and that do not fall into discrete disease categories. These are commonly called geriatric syndromes. They are often the consequence of multiple underlying factors and include frailty, urinary incontinence, falls, and delirium and pressure ulcers. Inactivity in old age is another factor that may cause or furthers these health-related problems. The changes of the body and health in older age, with or without the influence of environmental factors lead to lower the functional ability and restriction of participation and confine them into the state of disability. This process can be limited by influencing the changes of the body and health in older age. Most of the body changes and health conditions, which may lead the older people into disability, can be influenced through physiotherapy measures including physical exercises and physical activities. It is suggested to achieve this influence through either Prehabilitation, Prevention, Cure or Rehabilitation (PPCR) or with a combination of these approaches. This system has mainly consisted of a home and community based and also a user-friendly approach.